DEMING – Compass Manufacturing Services will soon expand its operations into Palomas, Mexico. 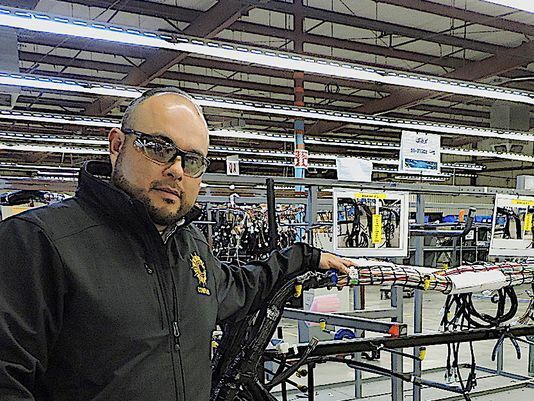 The maquiladora (factory) will be a welcome addition to the town where over 480 residents currently travel to Juarez daily to work, according to Deming plant manager Carlos Apodaca. The Deming plant, located at 2400 Atlantic Way in Deming’s Industrial Park, manufactures automotive wiring harnesses exclusively. Much of the work they do is small runs of customized components. The Palomas plant will likely be producing marine products that are more labor intensive than the automotive parts. The new plant will occupy a large building on Calle Obregón that previously housed a gym. The building, including a recently-added warehouse space, covers 37,000 square feet. The opening had been originally planned for the end of February, but now a late March date seems more likely. In addition to the necessary remodeling, before production begins, the street near the facility needs to be paved in order to reduce dust and protect the machinery and the products inside. As soon as the building is ready, the company will gradually assemble its workforce. One of the challenges the company faces is how it will pay its employees. Although there are a few ATM machines in town, there has not been a bank in Palomas for many years. The company is working with local authorities to entice a bank to open a branch in town and negotiations are currently underway. 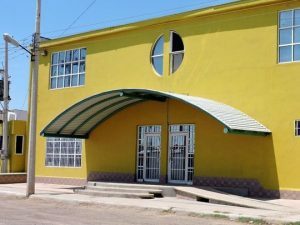 But even as Compass puts time, energy and money into starting the Palomas plant, many locals are not convinced that it will materialize.